EverEdge Classic (in one metre lengths) is available in Cor-Ten Steel in both the 100mm and 125mm depths with a 1.5 mm gauge. All metre lengths have six 95mm long spikes. The Cor-Ten steel starts off as a dull silver colour and then develops the rust finish over about four weeks. Price $27.00 to $30.00 per length. 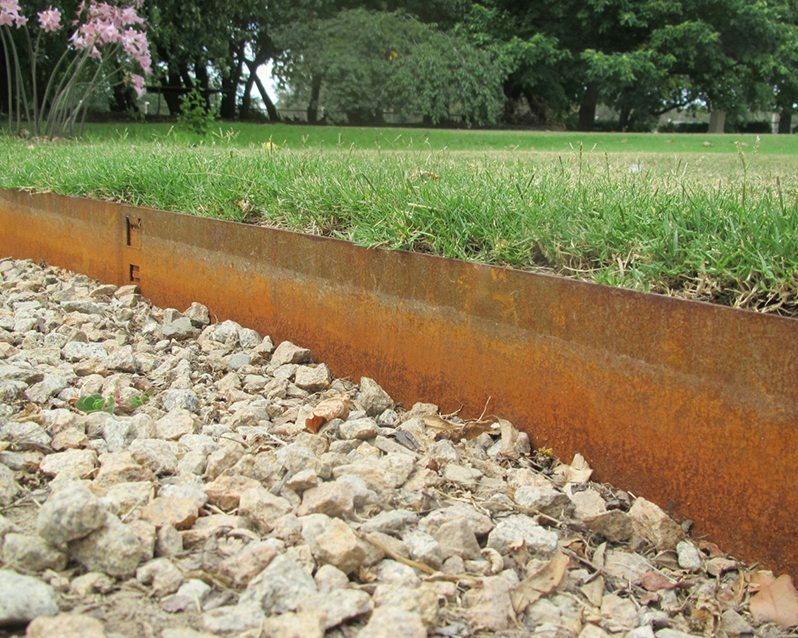 EverEdge Classic Cor-Ten Steel edging overlaps and interlocks so remember to add 6% to your actual requirement. Discounts are available for large online orders. We give a 5% discount on all orders of EverEdge Classic of 50 metres or more and a 10% discount on all orders of EverEdge Classic of 100 metres or more (when ordered on line).